Shaun’s journalism career as a reporter, producer, anchor and assignment editor stretches across the Prairies. His first news job was as a reporter with the Saskatchewan Valley News, the weekly newspaper in Rosthern, Sask. 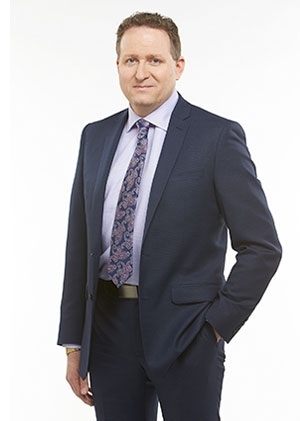 His television career took him to Swift Current, Prince Albert, Saskatoon, Regina, and Edmonton, before he arrived at CTV Calgary in 2006 to produce the 5:30pm news. He now works as a producer and reporter. Shaun has covered major breaking news events, including the Fort McMurray wildfires, where he told the stories of evacuees, firefighters and volunteers. He’s also had the chance to take on some special projects, and explore issues in-depth. He hosted and produced a weekly agriculture/rural life program, Country Corner, in Prince Albert. He wrote, hosted and produced a half-hour documentary, Over the Limit, which shared the personal stories of those affected by drunk driving – crash victims, police and the drunk drivers. He also visited Camp Pendleton in California for a series on Canadian soldiers training with U.S. Marines to become peacekeepers in Bosnia and Croatia. And, he produced a series with Darrel Janz to mark the 50th anniversary of CTV Calgary in 2010. Shaun anchored a newscast that won the RTDNA’s spot news award, when an Prince Albert apartment building went up in flames. He also won the RTDNA’s Dr. G.R.A. Rice Scholarship in 1992 for the best TV news story by a student in Canada. Shaun has a Bachelor of Arts in Journalism in Communications from the University of Regina. He won the James M. Minifie Award as top graduate. Besides journalism, Shaun’s other passion is soccer. He plays the game and is a senior referee in Calgary. Attending the World Cup in Brazil in 2014 was a major thrill. He and his wife also enjoy skiing and hiking in the Rockies, volunteering and gardening.